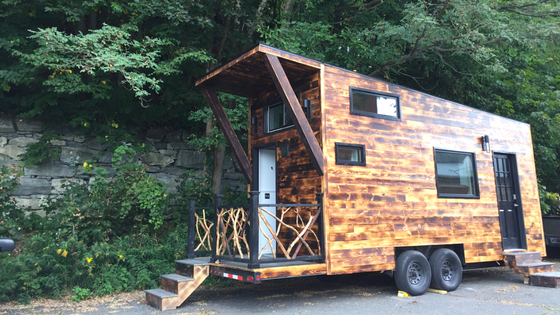 The Arcadia is an 8’ x 24’ luxury tiny home from B&B Micro Manufacturing. The house measures 8’ x 20’ while the porch adds an extra 4’ in length. 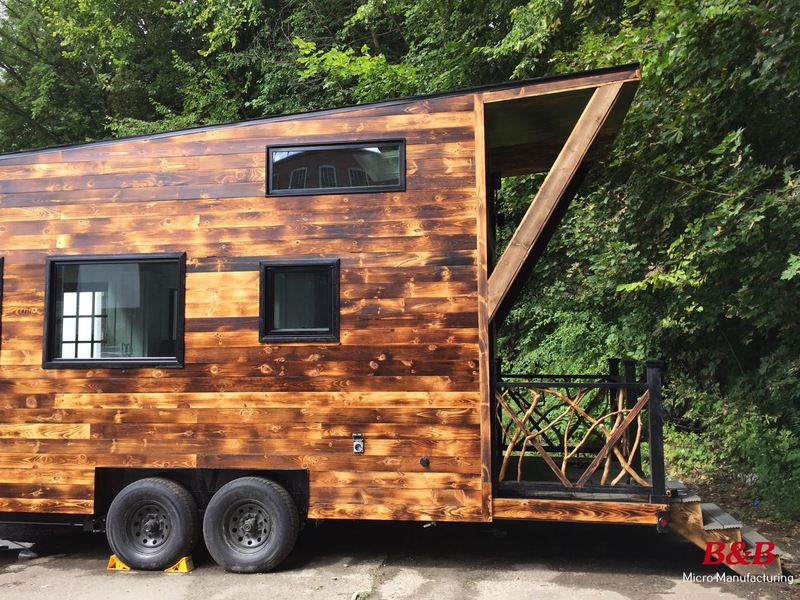 It's beautiful modern/rustic design is definitely eye-catching and among the most unique we've ever seen! 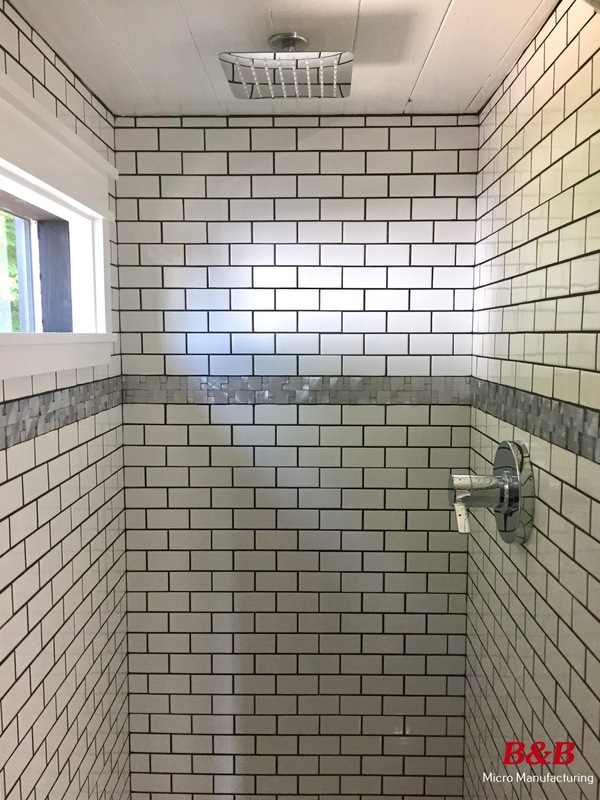 When you walk into the home, you’ll see a bathroom immediately to your right. It features a white, rectangular, compact sink with cabinet, full-sized Sanfilo macerating toilet and a tiled, full-sized shower with rain showerhead. 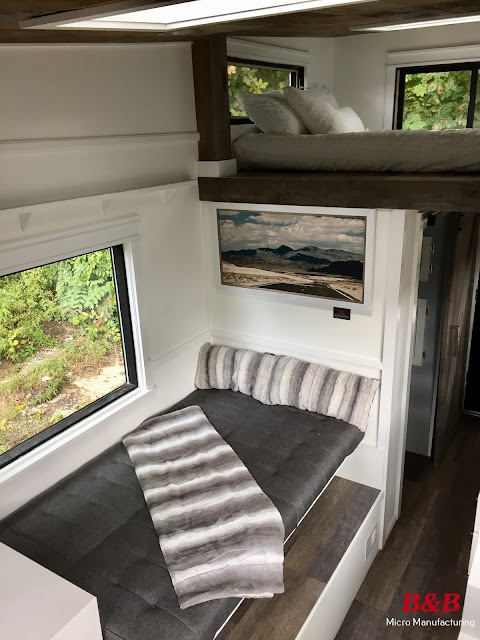 Adjacent to the bathroom is the living area furnished with a sofa that converts to a 41” bed on your right and a staircase the leads up to the lofted bedroom on your left. 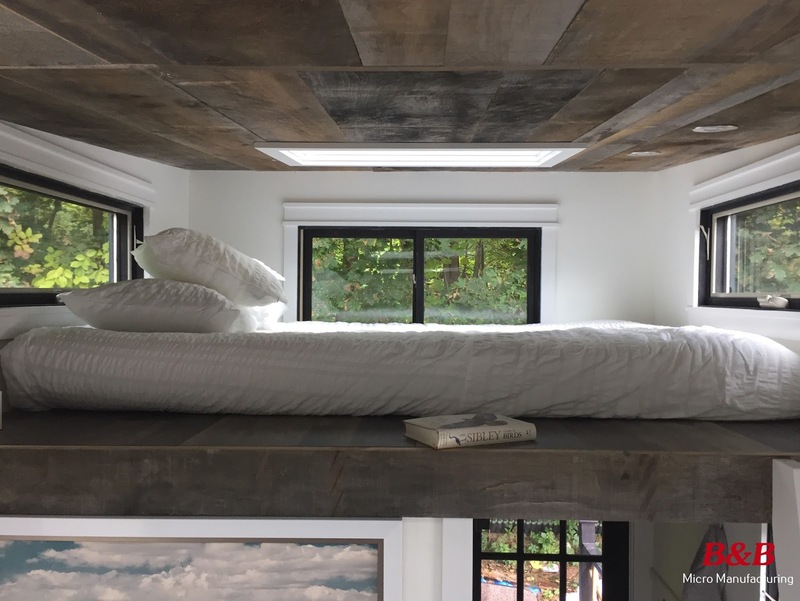 The lofted bedroom fits a queen-sized bed (while leaving extra floor space) and has a 360-degree window plus skylight. After walking past the living area and staircase, you’ll enter the beautifully designed kitchen. This space features a stainless steel sink, 31 sq. 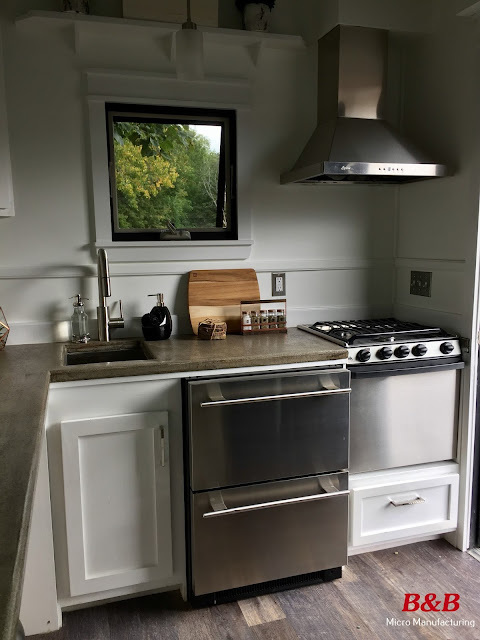 ft. of counter space, Haier under-counter dual drawer fridge, cyclone range hood over an Atwood high-output 3-burner stove and poured concrete countertops. Also, there is plenty of storage for kitchen accessories in the 8 drawers, 7 cabinets, and 7 open shelves. While the interior of this home is the epitome of luxury and quality, the outside reflects quality just the same. The home has wood siding preserved using the Japanese tradition of Shou Sugi Ban woodburning and a steel-framed construction that allows for a lighter, more durable, more affordable house. 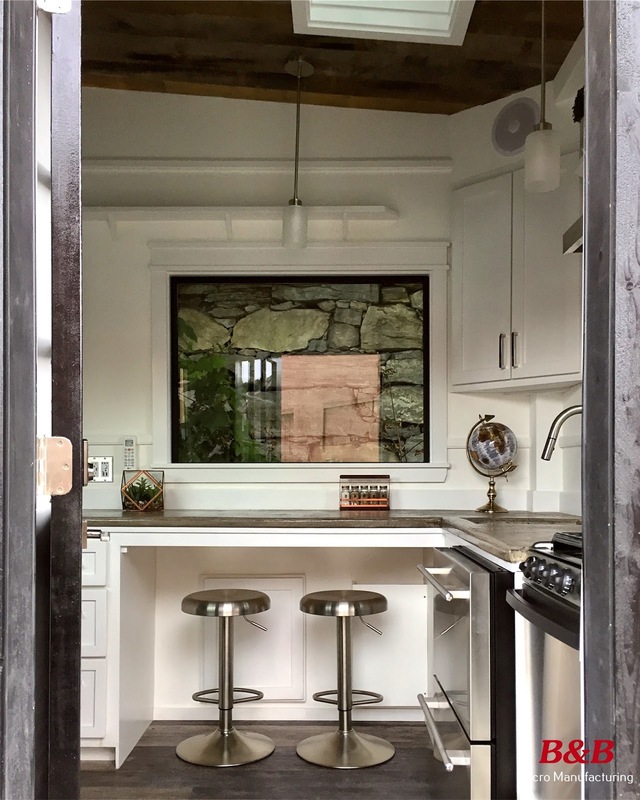 Additionally, the large-double-paned windows and skylights allow for plenty of natural light to enter the home. 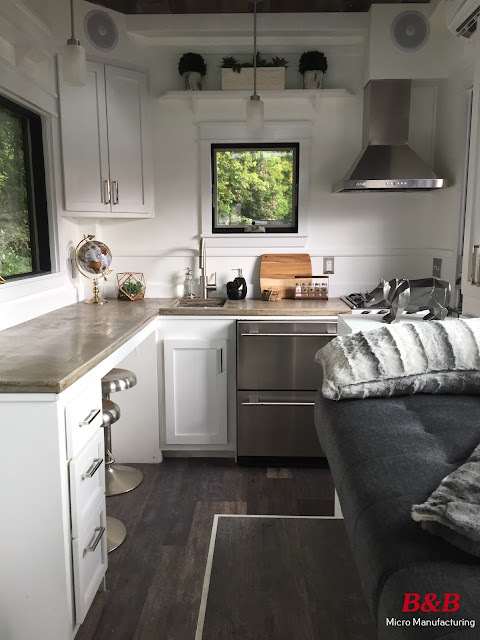 Finally, this tiny home does not only have a quality interior and exterior, but the utilities are top-of-the-line as well. Some notable features include the remote-controlled LG heating/cooling system, tank monitor for 100 gal. freshwater storage and 52 gal. blackwater storage, built-In Bluetooth audio system and recessed lighting throughout the house. 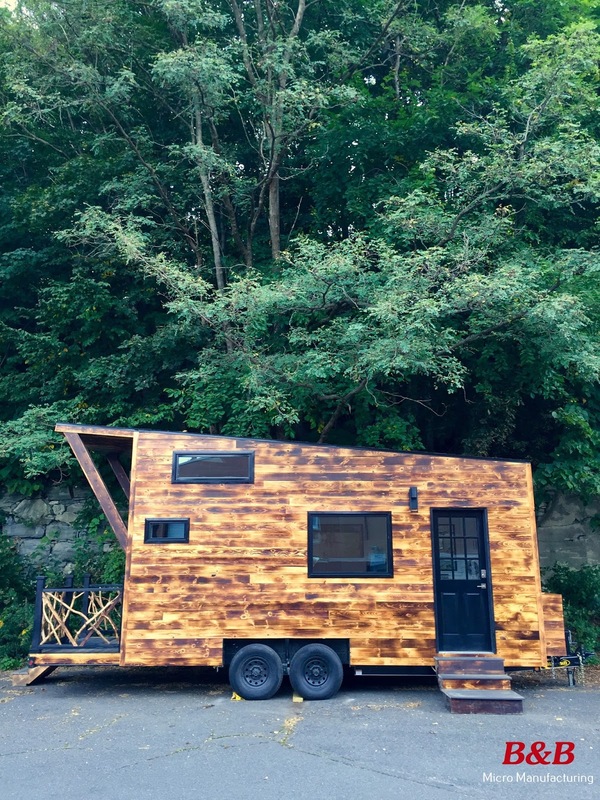 This $89,000 tiny home is RVIA certified and available for viewing! For more information, contact B&B Micro Manufacturing here!